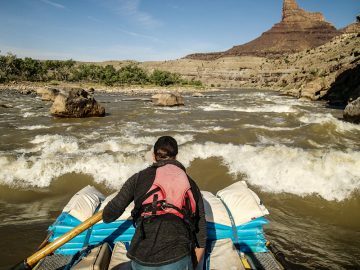 These lodges are destinations in and of themselves, but their proximity to world-class whitewater rafting makes them all the more drool-worthy. 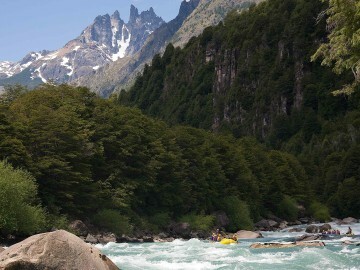 Here’s a rundown of five of the best whitewater lodges in the world. You won’t get much closer to full immersion in the whitewater experience (besides sleeping in your boat) than the Wildwaters Lodge. 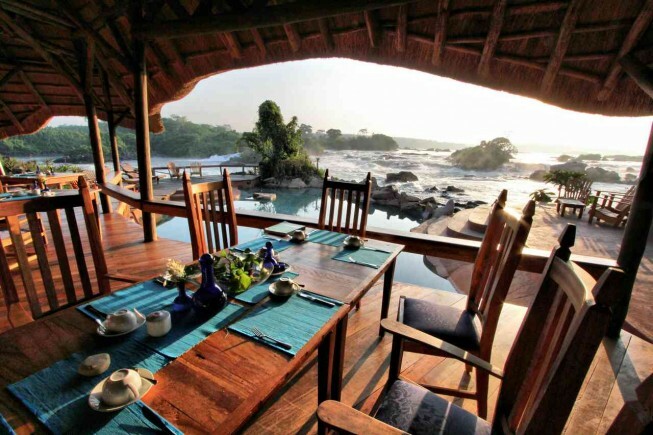 Situated amid a group of forested islands in the middle of the Nile River, the lodge is surrounded by thunderous rapids. 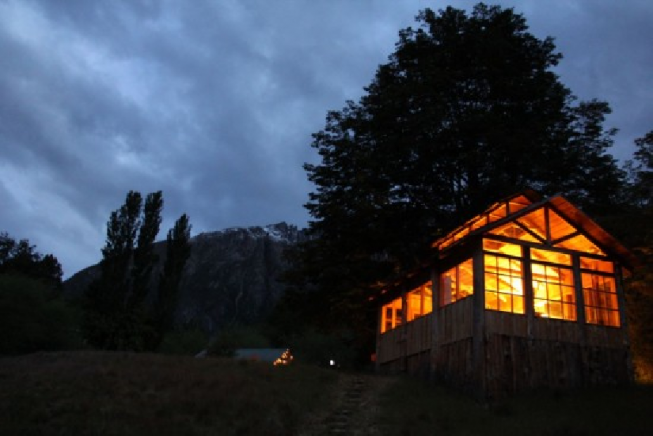 No other lodge in the world provides quite the same intimacy with the river. The Wildwaters’ ten canvas-walled, traditionally-thatched rooms have private decks and interconnecting walkways that allow guests to soak in the ambiance of the Nile. The lodge itself is the centerpiece of a budding conservation project that aims to protect the Nile’s river islands and provide a sustainable industry for the local population. 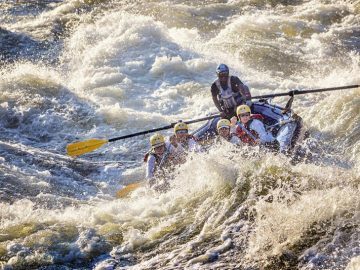 Getting to and from the lodge requires canoes manned by able rivermen and once there, you are completely immersed in the mist and roar of the immense rapids on the world’s longest river. The Adventure Base Camp provides plein-aire accommodations to fully immerse yourself in the epic setting, and also serves up some nice perks to help you relax at the end of a rigorous day on the river. They have a wood-fired hot tub, a yoga deck overlooking the river, sunset bar, and a dining pagoda to eat, drink, and be merry with fellow river-goers. 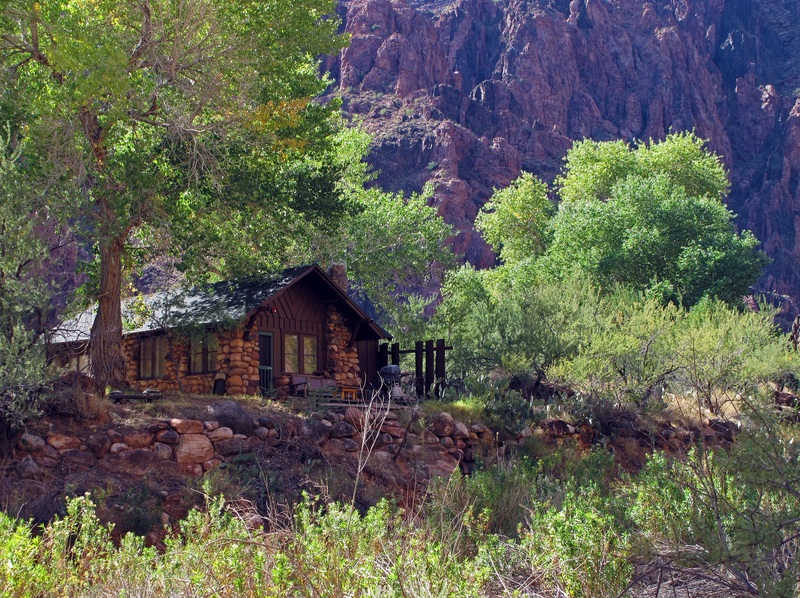 Located over a mile beneath the Grand Canyon Rim, Phantom Ranch on the Colorado River is one of the most inaccessible lodges in the world. The only way to get there is by raft, foot, or mule. For the overland route, you have to hike a combined 12,000 feet of elevation loss and gain, and at least 17 miles in arid, searing heat. 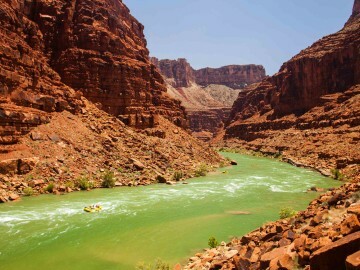 By raft, visitors put-in at Lee’s Ferry and travel 87 miles through some of the most striking geologic features in the Grand Canyon before arriving at the lodge. Mary Jane Colter designed Phantom Ranch in 1922 with native materials so it appears that the buildings organically rose from their surroundings. Scoring an open room at Phantom Ranch is no easy task as it’s one of the most coveted accommodations in the country. Hikers can stay in one of the dormitory bunks, but need to make reservations over 13 months in advance. Rafters and mule riders can stay in the group cabins, which are typically arranged as part of package trip. 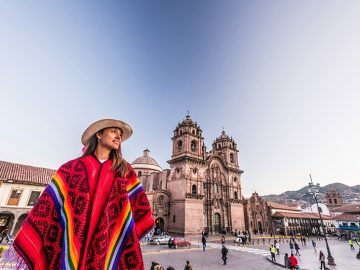 A night spent deep within one of the seven natural wonders of the world on a feather bed isn’t one you’ll easily forget. Here’s the ultimate retreat for adventurers who want it all – thrilling whitewater by day, and eco-luxury by night. The Rios Tropicales lodge is perched on the banks of the world-renowned Pacuare River, in the heart of a 2,000-acre private jungle reserve. The rain-fed waterfalls and the Huacas River Gorge are remarkable highlights of the river, but so are the jaguars that emerge from the rainforest to drink at night, and the howler monkeys that swing in the canopy overhead. The lodge itself offers Cabecar Indian-style cabanas overlooking the river as well as rustic bunkhouses. The lodge provides amenities like hot showers and potable water, and a full kitchen, which are all powered by an on-site, sustainable hydro-generator. 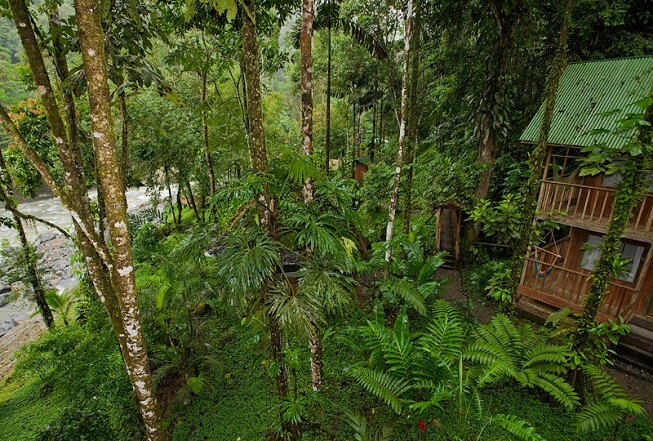 The sound of tree frogs, cascading water, and bird songs will lull you to sleep in the depths of the Costa Rican jungle. If you’re looking to introduce your family to whitewater wilderness trips, then the name of this lodge says it all. 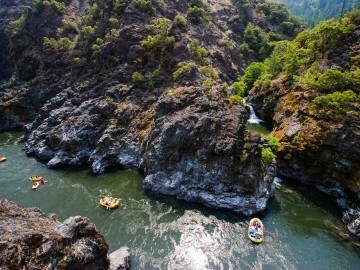 The 34-mile float down the wild and scenic Rogue River has earned its place in river lore, for the salmon that leap up Class V Rainey Falls, for Winkle Bar where Western author Zane Grey built a cabin, or for Blossom Bar rapid that a pioneering riverman created by setting off dynamite to open up a navigable passage. The Paradise Lodge is located just beneath Blossom Bar, named for the bounty of blooming azaleas in the spring. The only way to get there is by rafting, hiking, jet boating, or flying in a helicopter. Once there, you’re greeted with riverside rooms, gourmet meals, and hiking galore in the Rogue Siskiyou Wilderness. 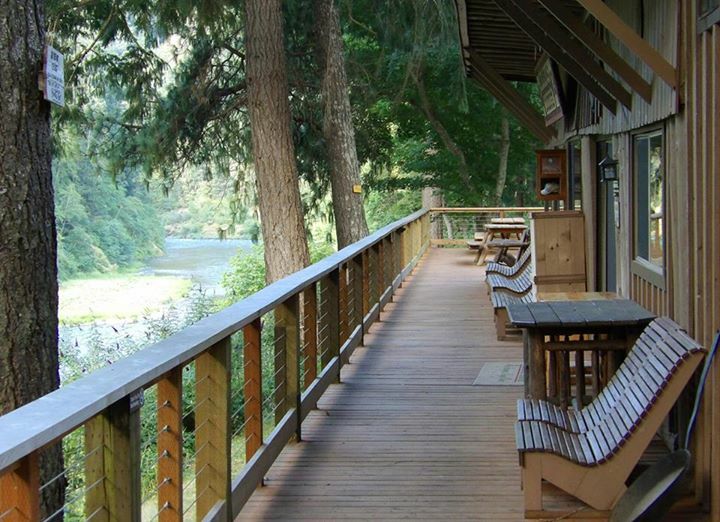 Black bears, bald eagles, and river otters are fairly common sights as you settle into Oregon’s preeminent wilderness accommodation.